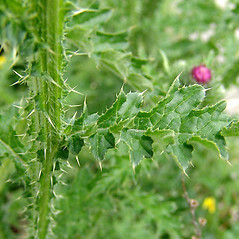 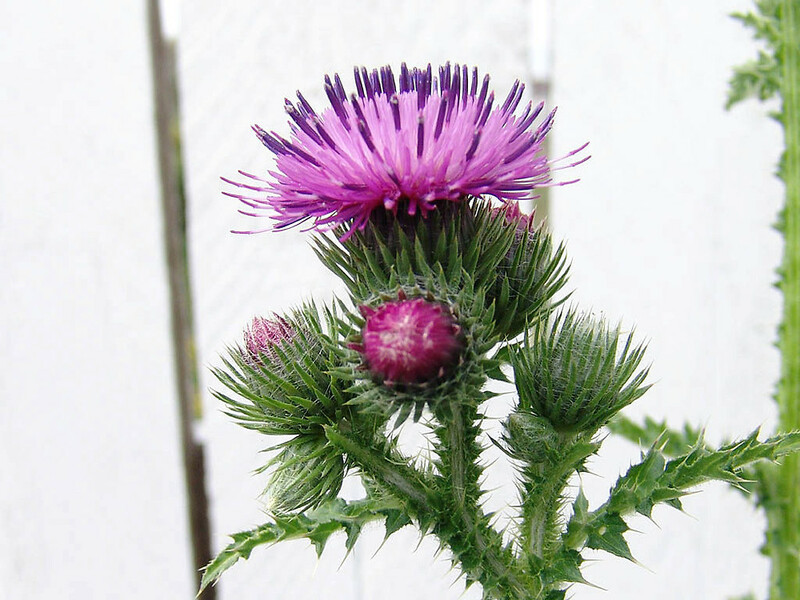 Curly plumeless-thistle is often confused with the far more common spiny plumeless thistle (Carduus acanthoides), but the two species differ in several respects. 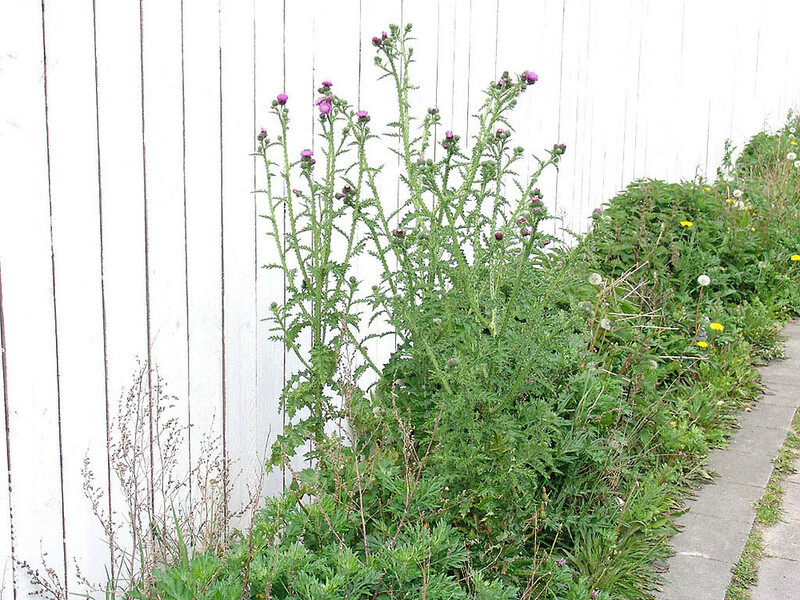 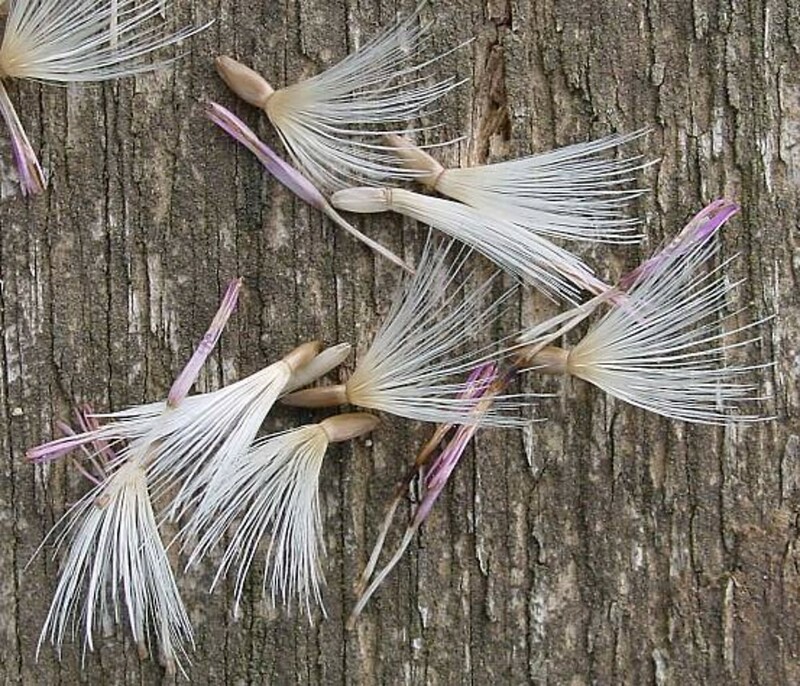 Native to Eurasia, in North America it is a weed of roadsides, waste areas and pastures. 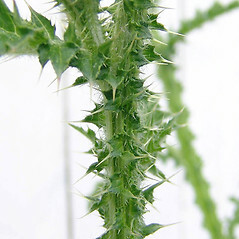 undersurface of leaves with only type of hair: curling and septate (vs. C. crispus, with the undersurface of leaves with two types of hairs: longer, curling, septate hairs on the veins and sparse, woolly hairs in between). 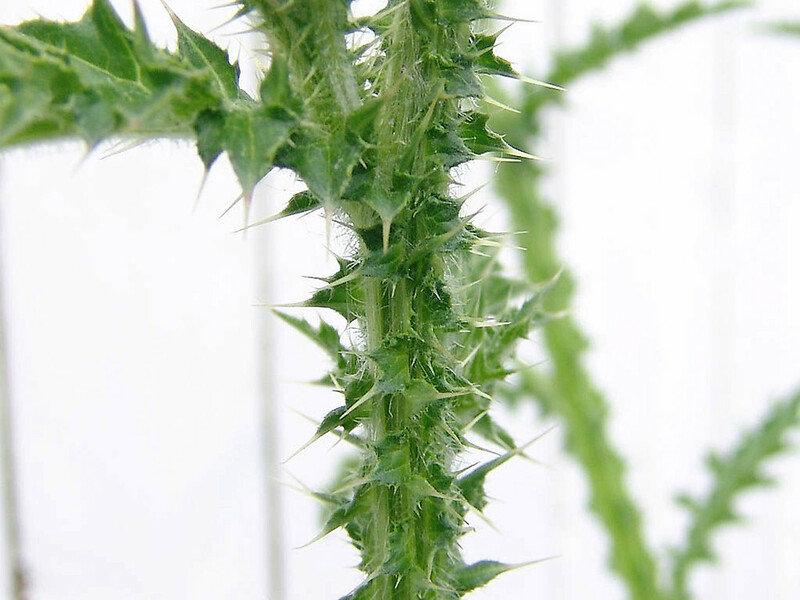 curly plumeless-thistle. 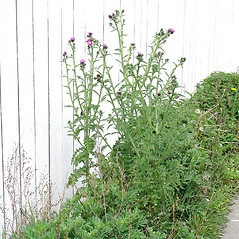 RI, VT. Roadsides, fields, pastures. 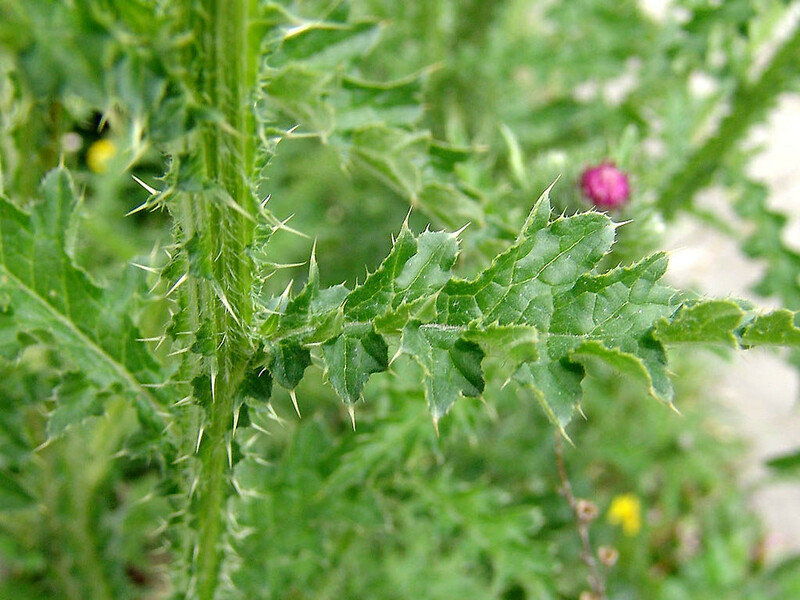 The distribution of Carduus crispus has long been erroneous due to reliance on non-diagnostic characters. 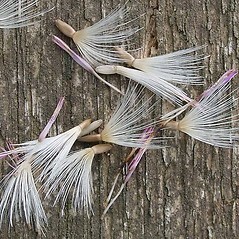 Keil (2006b) presented C. crispus as the more widespread species in New England, but this is incorrect. 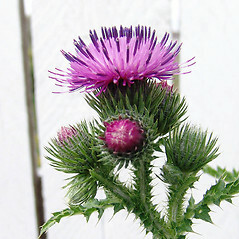 Carduus acanthoides is more frequent and is responsible for most reports of C. crispus in New England.